If you’re one of the unlucky few whose local Best Buy was not one of those selected to sell iPads, weep no more. 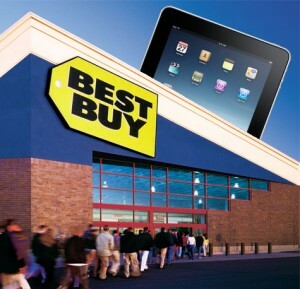 Starting September 26th, Best Buy will have iPads at every one of its 1093 stores, though it’s unclear whether they will have a whole special Apple section like many other stores do. Go get ’em, tiger. But skip the extended warranty, you’re probably going to buy the iPad 2 within like six months.